Poltava City Meeting - 76390 Nina Poltava (Ukraine) 60 y.o. I am versatile personality. I like to know all new that make me wiser and more clever. I like visiting museums, exhibitions, theatres. I always take care of my appearance that allows me look good despite of my age. I like cooking, especially dishes from Ukraininan cuisine. When I stay alone at home, I enjoy listeting to classical music. My favorite composers are Beethoven, Mozart, Bach, Tchaikovsky. Such music spiritually enrichs me. Besides, I like reading books mainly about love because it is this what is lacking in my life. I like gardening, planting at my cottage nn summer, I prefer mushrooming in autumn. I am responsive and good-natured woman with good sense of humor. I am a good housewife and loving mother (I have adult daughter). 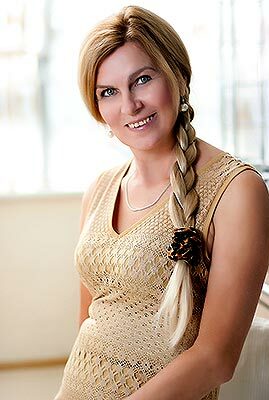 My friends tell I am sincere, kind, polite, soft and tolerant lady with ability to support and help.I am educated, well-read woman and interesting interlocutor. I have my own views on life which I follow. I am loyal and faithful friend and caring woman. I am open for serious relationship. If you are also alone, let's get in touch. Having been disappointed with males in despair I decided to search my love here. Time is passing and I want to find calm, clever, consistent, decent and wise man who wants to grow old together.